Overview: Several of the equity benchmarks are flirting with six-week highs, including MSCI Asia Pacific Index and the Emerging Markets Index. The Dow Jones Stoxx 600 is trying to extend its advancing streak for a third week, something not done since July. The 350 level, which it is toying with, is similar to the 2600 level in the S&P 500 that has also being tested. Today's advance is shrugging off yesterday's loss in the US with the help of indications from China that it will be more aggressive about cutting taxes and new data showed lending was stronger than expected. Despite the firm equities, bond yields in Europe are a basis point or two softer. The US 10-year yield is also struggling to stay above 2.70%. The yield on Japan's 10-year bond dipped back into negative territory. The dollar is a little firmer against most of the major currencies. The key event today is the vote on the Withdrawal Bill in the House of Commons, which is expected early evening in London and late in the US equity session. The dollar appears to be forging a base against the yen around JPY108. Its recent range is marked by expiring options today. The JPY108 strike is for $1.7 bln, and the JPY09 strike is for about $375 mln. The intraday technicals suggest another run at the upside for the dollar. The improved risk assessment, which is weighing on the yen, is not helping the Australian dollar much. It continues to straddle the $0.7200 area for the third consecutive session. A break of $0.7175 may be an early warning that the rally since the flash crash low near $0.6740 is exhausted. Although India's December CPI was in with expectations (2.19%), the rupee is under pressure. The US dollar is taking out a 2.5 month down trendline that comes in near INR71.00. The next technical target is seen near INR71.60 and then INR72.00. The Chinese yuan has been confined to yesterday's range as it consolidates its recent advance, which we suspect has also run its course. The vote in the UK House of Commons is the focal point today. A rejection of the Withdrawal Bill is a foregone conclusion, though if it does unexpectedly pass, sterling would be lit. Around 70 Tories and the unionists from Northern Ireland, which has supported the government on other issues, have declared their opposition. Most calculations show a defeat by over 100, which apparently would be the largest defeat in more than 90 years. It is not binary. A defeat by the government has been expected for some time. What has changed is that previously an anticipated defeat was seen increasing the likelihood of a no-deal exit. However, Parliament has raised the bar for this, and instead, a rejection of the Withdrawal Bill is now understood to postpone the March 29 exit. The events market (PredictIt.org) and the skew in the options market (risk-reversals) suggest this well discounted. Perceptions that the risk of a no-deal exit has fallen has helped lift sterling to seven-week highs. Nor will investors get much of a sense of closure today. Rather than end the drama will simply begin another act. And one thing that means is contrary to some speculation, Prime Minister May is unlikely to resign. However, she may struggle to maintain the upper hand, as Parliament may seek to dominate the next phase. 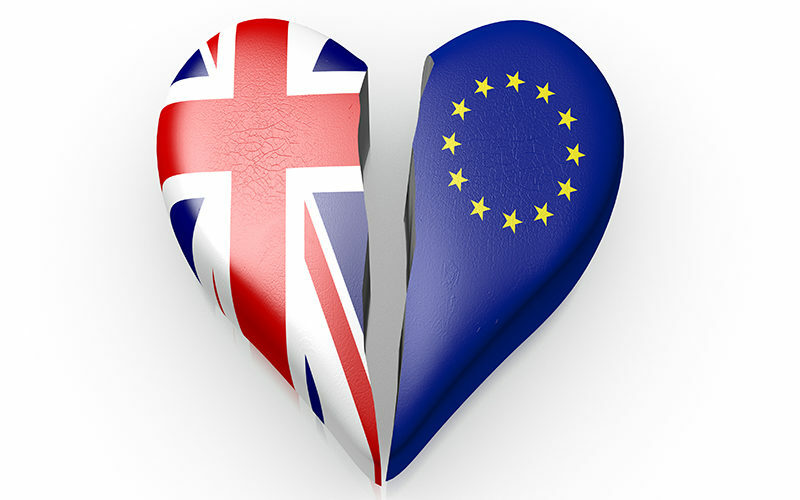 A second referendum becomes more likely, and a more modest divorce than the hard break sought by the vocal wing of Tories may also gain traction. Separately, and more suggestive than substantive was Merkel's hint that if the vote goes poorly, the EU could grant an extra concession. There is one concession that could make a material difference, and that is for the EU in effect to sacrifice Ireland and agree to some end date for the backstop that is supposed to kick in if no agreement is reached can avoid a hard border between Northern Ireland and the Irish Republic. Separately, Germany reported that growth last year slowed to 1.5%, the slowest pace in five years. The German economy contracted in Q3, but the preliminary data (about half of Q4 data has been reported) suggests that a back-to-back contraction looks to have been avoided. The auto sector appeared to recover late in the quarter. Last year growth was lifted by a 4.5% increase in capex and 1% rise in consumption. Public expenditures rose 1.1%, while the government enjoyed a 1.7% budget surplus. Note that Germany has approved a 151 bln euro (~$175 bln) infrastructure program (roads, rails, and a faster internet) over the next five years and lower the tax burden on households. For many critics of Germany, this is not sufficient, but they are concentrated in larger deficit countries. Unbeknownst to the critics, they sound like the grasshoppers in Aesop's fable who envy the industrious ants. The euro reached $1.1570 last week. The bulls were emboldened. Many declared the long-awaited break out from the $1.13-$1.15 range that has dominated over the last couple of months. However, the conversion of dollar proceeds from Turkey's $2 bln bond offering may have provided the last push, and the euro has not posted an advancing session since last Wednesday. Today it is threatening the 20-day moving average (~$1.1430), which it has not closed below since January 2. There is are roughly 555 mln euros struck at $1.1400 that expire today. Sterling is trading little changed within yesterday's range. Although there may be a knee-jerk reaction to sell sterling on the government's defeat today, we see the news as largely discounted, and many already appear to be looking past it and tend to be more constructive and would take advantage of a decline on the headline to add to positions. In the US, headline PPI may have been dampened by the decline in energy, while the core rate is expected to have accelerated to 3.0%, which would be the fastest pace in seven years. The Empire State manufacturing survey is among the first economic entrails for the New Year. A small decline is expected. Three Fed officials speak today, and they cover the spectrum. Kashkari has generally been opposed to the entire normalization cycle by the Fed. George, on the other hand, has been among the leading hawks. Kaplan is seen as a centrist. Canada reports existing home sales. They likely fell in December for the fourth consecutive month and the eighth month of 2018. The housing market is ended last year on a weak note, and this is expected to carry over into the New Year. The slump in the real estate market coupled with high household indebtedness is partly blunted by a robust labor market. We expect the Bank of Canada to remain on hold through at least the first half. The 96.00 area in the Dollar Index is important. It corresponds to the old support and is a retracement objective (38.2%) of the decline since mid-December. The US dollar posted a potential key reversal against the Canadian dollar at the end of last week and saw follow-through buying yesterday that lifted the greenback to nearly CAD1.33 and is consolidating in Europe. We would like to see a test on CAD1.3365. Support is seen near CAD1.3220. The dollar fell to almost MXN18.96 yesterday, nearly a three-month low. While the US and Canada may not be hiking rates in the first part of the year, Mexican inflation is still above target, and the minimum wage was raised at the start of the year. The central bank is likely to hike rates next month to 8.75%. Separately note that Mexico has hedged this year's oil output at around $55 a barrel. The technical indicators for the peso are stretched, and we are looking for reversal patterns. The one before the weekend proved false.